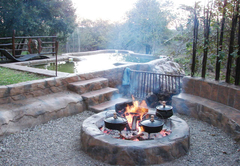 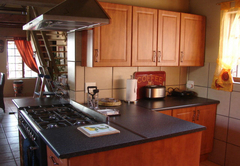 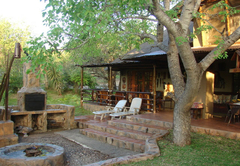 Khaya Umdani Guest House is a property providing self catering in Marloth Park for up to 10 guests visiting the Wild Frontier region. 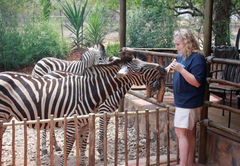 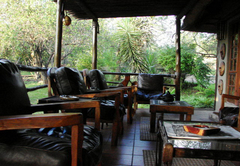 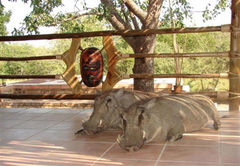 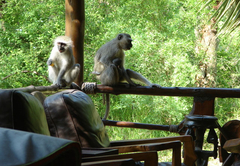 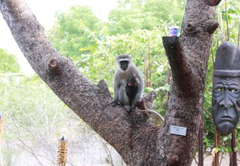 Khaya Umdani House is situated in the wildlife conservation area of Marloth Park, a nature lovers paradise and a great place to relax with only the sound of the wildlife around you. 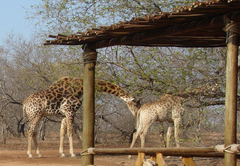 While here you are likely to spot kudu, giraffes, zebras, warthogs, hundreds of bird species, wildebeest, many different gazelle, a few smaller predators and reptiles, and much more. 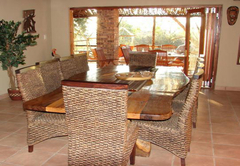 Khaya Umdani Kruger is always rented out as a whole, allowing you to enjoy the African Wilderness in peace with your family and friends. 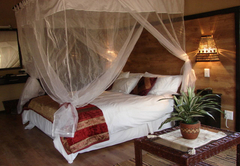 Ten guests can be accommodated in five rooms, each with a double, queen or king-size bed. 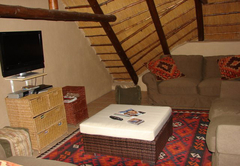 There are five luxurious rooms, a large 10 seater dining room table, a fully equipped modern kitchen and laundry, comfy living room with a DStv and a DVD player. 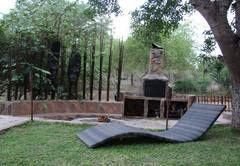 A swimming pool and a braai area complete the offering. 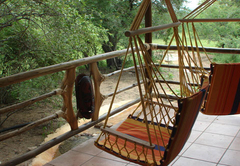 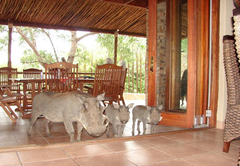 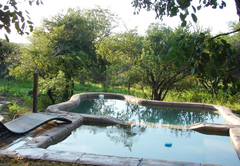 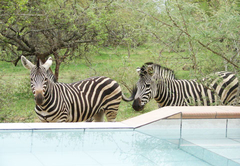 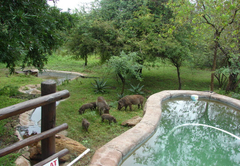 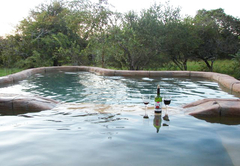 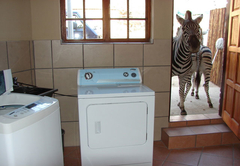 Come and enjoy luxury accommodation and watch the animals at your very own private water hole. 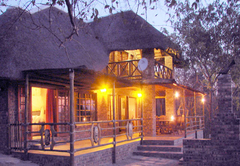 Response timeKhaya Umdani Guest House typically responds to requests in 5-10 minutes.